These nine brilliantly inventive stories capture the eccentricities of the residents of Manhattan's West 89th Street. Five stories are set in one apartment building, where young Davie Birnbaum watches his neighbors' lives unfold. 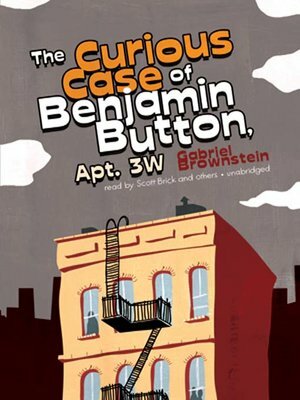 The title story reworks F. Scott Fitzgerald's The Curious Case of Benjamin Button, with the hero fading away toward infancy on the third floor. In apartment 7E, a lawyer named Zauberman reenacts the life of Hawthorne's Wakefield, abandoning his family so that he can spy on them. And the proctologist in the penthouse plays Icarus and Daedalus with his misfit son. These are tales of literary voyeurism, as the narrators look in on other people's everyday victories and misfortunes—marriages, car accidents, love affairs, and adoptions—and make sense of it all by thinking about the stories they know best. Gabriel Brownstein's stories have appeared in Zoetrope: All Story, Northwest Review, the Literary Review, and the Hawaii Review. He lives in Brooklyn, New York.